If you ask someone to evaluate the quality of a bed, they will automatically focus on the type of sleep experience the mattress on top of the said bed provides. If they sleep like a log the mattress is “high quality,” but if they twist and turn all night, it’s not so great. While the quality of sleep experience is obviously the most important issue to consider, there are other attributes to think about as well when choosing not only a mattress but the bed on which the mattress rests as well. 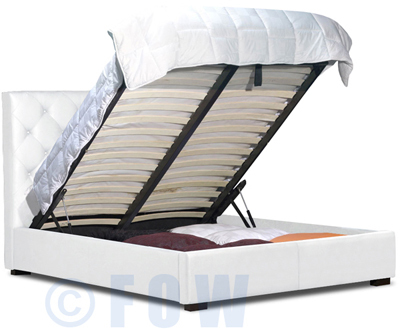 These really come into play when looking at a lesser-known bed, the hydraulic lift bed. Most traditional beds create an annoying problem seldom addressed in advertising material or sales pitches. 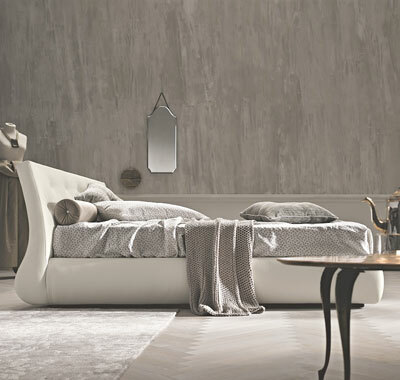 Take a minute and picture your bedroom and all of the furniture in it. What stands out as the biggest space hog? If your home is like most, the bed takes up an enormous amount of room – and no other piece of furniture is a close second. 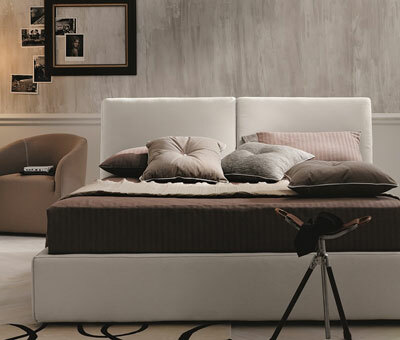 Centered against one wall, the bed usually dominates the entire center of a room. Even worse, you need to make sure you have at least 3 feet of space around the sides and base, so you can get in and out of bed and move around safely. A bigger space hog is difficult to imagine. 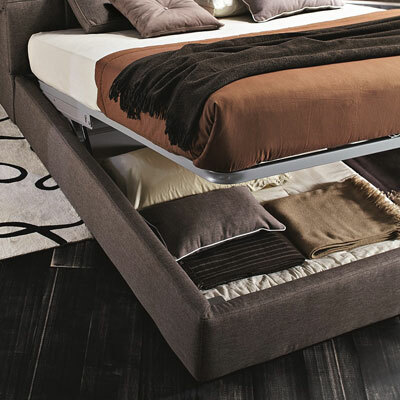 Hydraulic lift beds are a wonderfully convenient answer to this space issue. It’s understandable that “hydraulic” could be an intimidating word if you are not technologically proficient, but there’s nothing to worry about. This isn’t like trying to learn how to work a power tool or even the master remote for your home theater. Hydraulic beds are very easy to operate. Here’s how it works. 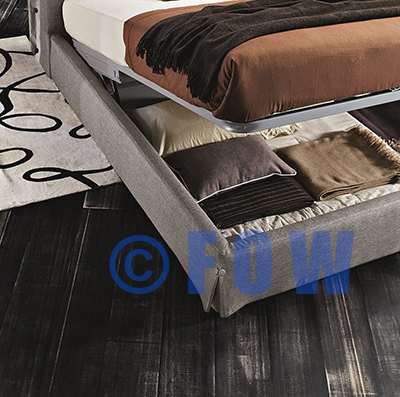 The bed has the appearance of a normal bed (usually it looks like any platform bed), but if you look more closely you will see either a wood platform or a slat support system running above the frame of the bed and below the mattress, secured to the bed. When the platform along with the mattress on top is lifted, a hydraulic piston on each side of the bed supports the raised platform in much the same way that the back door of a hatchback remains up in the air while you load groceries into the car or the hood of your car when you need to access the engine bay. To operate the hydraulic bed, simply stand at the base (footboard) of the bed (where your feet would rest while you’re sleeping). Reach under the mattress, take hold of the pull-handle of the platform, and start to lift the mattress platform slowly and easily – it won’t take much effort. The higher the platform rises, the more the hydraulics will take over the process and the less “work” you’ll have to do. 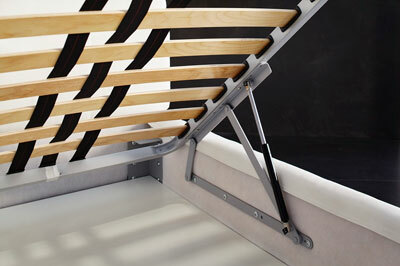 Once the mattress platform is at its highest angle position, the hydraulics will stop and hold the platform firmly in place. And what do you have? A large rectangular space just begging for things to be stored inside. The available space is as large as your bed and between 8 and 12 inches in height, which is essentially the size of a closet turned on its side and placed flat on the floor. Modern architecture trends can be difficult to understand at times. There is often little relationship between the size of a home and the amount of storage space provided for the people living inside; you have to wonder if the architects who designed these homes ever actually lived in one. At one point or another, we’ve all probably lived in a home where the bedroom either has no closet at all, or one apparently designed for a person who only owns one outfit. Even newer, large homes seem to be designed with a frightening lack of space for storing what George Carlin would call “stuff.” Let’s not even get into the size of today’s apartments or the closet space they offer especially in larger cities. As you can imagine, a hydraulic lift bed is the perfect solution to this problem. You literally can transform a bedroom from having almost no storage space to one outfitted with the equivalent of a closet. 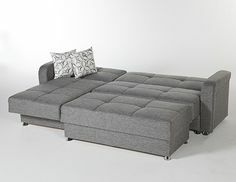 Just pop the mattress up and you can load blankets, shoes, folded clothes, and other items under the bed with no fuss. One popular approach for using hydraulic lift beds is to store seasonal items in large plastic tubs. In the spring, you pack your parkas, coats, and sweaters into the tubs and store them under the bed for the summer; when fall arrives, switch them out for your bathing suits, t-shirts, and sandals. The tubs can even act as an impromptu table on which you can rest clothes like folded jeans and shirts that you wear on a daily basis. You can hop out of bed in the morning before your first cup of coffee, pop up the bed, and your clothes and shoes are ready to go – even if you aren’t. Hydraulic lift beds are also great options for guest rooms. If you are like most people, you’ve designed your guest room for appearance rather than long-term living convenience. When guests do stay the night, however, you want them to be comfortable; with a lift bed, you can store extra sheets, comfortable pillows, and blankets in the storage area for easy access, and then let the guests use the space for their belongings once the linens are on the bed. Here’s another great idea for hydraulic bed storage space. You probably get some “interesting” gifts from your family from time to time. They certainly mean well, but that doesn’t mean you want to display those gifts in your home on a regular basis. On the other hand, you don’t want to hurt your family’s feelings by throwing the presents away or banishing them to a storage unit. The way to handle the problem is to put the gifts into the storage space under your lift bed in the guest room. If grandma is coming over, you can pull out the beautifully framed burlap stitched picture she gave you last year and hang it in the guest room so she can see it. It may sound a bit shallow, but it’s better than either living with monstrosities on a daily basis, or running around the house in a panic trying to remember where you put everything before grandma arrives. You might be thinking that hydraulic lift beds aren’t all that different than having a solid bed frame with drawer storage underneath the bed. They’re definitely similar, but the hydraulic lift is a better choice for several reasons. If you’ve ever owned a bed with drawers in the base, you know there are a few problems inherent in the design. First, the sliding mechanism for the drawers can fail over time, especially with lesser quality beds, because you naturally lift a drawer up when pulling it out, creating wear and tear on the sliding mechanism. Frequently-used drawers with lesser quality can become difficult to use after a certain amount of time, which can be a real problem when you use the storage area frequently. A second issue with the under-bed drawer approach: some bed designers apparently have no legs. If they did, they wouldn’t have used knobs or handles which stick out so far from the face of the drawers. They should be punished, ideally by making them repeatedly jump out of bed in the middle of the night to go to the bathroom – repeatedly cracking their shins on those drawer handles. Finally, under-bed storage drawers can be space wasters. Yes, you can store a few sweaters or shirts, but there is still plenty of space below and above the drawers, and also in the middle of the bed frame which stays empty. If you need all the storage space you can find and are going to spend good money for a bed storage feature, it makes sense to go for the solution offering the most room possible. Hydraulic lift beds have none of the design problems found with drawer models. The hydraulics are only used briefly each day (at most) so the lifting mechanism lasts for quite a long time. With no drawers, there is no sliding mechanism to fail, no handles on which you’ll bang your shins, and you can maximize the amount of storage space available under your bed. In the matchup of hydraulic lift bed versus beds with drawers, we have a clear winner – the hydraulic lift bed. In a perfect world, there would be no crime. However, we all know the world is anything but perfect. According to the Electronic Security Association, there is a burglary once every 15 seconds in the United States. Such a number may sound alarming (no pun intended, of course) but burglaries and home invasions are some of the most common forms of crime in modern society. Ideally, you will protect your valuable items by storing them in a safe or safety deposit box at your local bank. If these options are either too expensive or unavailable, you may want to think about storing your valuables in the storage area of your lift bed. While not a perfect solution, hydraulic lift beds are a new concept to many homeowners and thieves alike. Place a bench at the end of your bed and a thief may never consider the possibility that the bed lifts and that valuables are inside. A safe deposit box is certainly preferable, but storing valuable items hidden “inside” your bed certainly beats putting them in a drawer. The average bedroom contains a huge amount of furniture. In addition to the bed, there can also be one or two nightstands, dresser, chest, a vanity, and other items like that treadmill you are definitely going to start using every day. The end result is tremendous clutter. Just walking around all the furniture can make you feel like you’re trying to navigate a slalom course in the Winter Olympics, making your bedroom much less livable than it should be. Hydraulic lift beds allow you to eliminate much of this clutter. Consider the dresser which holds the basics of your wardrobe – items like underwear, socks, informal shirts, jeans, and shorts. Move them all to the storage space under your bed and you can sell the dresser, making your bedroom feel like an entirely new room thanks to all of the open space. In this way, one small change can make an enormous difference. If you replace all the beds in your home with hydraulic lift beds, you practically create a new, spacious home. Most people find changing bed sheets to be a real pain. Trying to get the fitted sheet around all the corners and lined up perfectly can make you seriously consider just sleeping on the dirty sheets for another week. Hydraulic lift beds put an end to that nightmare. To change sheets on a hydraulic lift bed, you start by placing the fitted sheet over the two corners at the headboard of the bed. 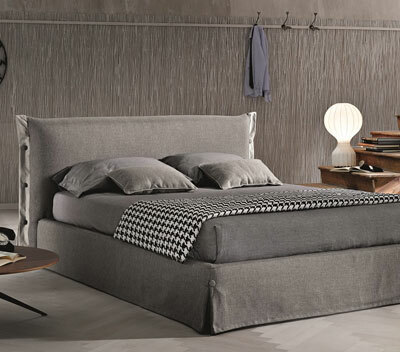 Then lift the base of the bed until the mattress is at chest height. With the mattress in a comfortable position you can easily position the fitted sheets over the last 2 corners. Tuck the flat sheets in, lower the mattress, and you have a well-made bed without needing to pay a visit to the chiropractor. This advantage alone is a great reason to select a hydraulic lift bed over any other bed style. You’ve probably realized by now that hydraulic lift beds are perfect solutions for people living in small apartments or studios. 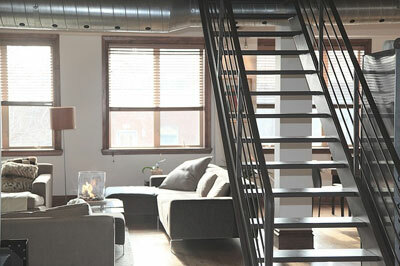 For example, in a large city like New York space is at a premium and prices for apartments and studios are staggering. Maximizing space is critical, and it is difficult to think of a better way to do this than by using a hydraulic lift bed. Let’s say you have a queen-sized bed. By choosing the hydraulic lift option, you gain a staggering 19 cubic feet of storage space, essentially 2 to 3 times as much storage space as you’d have with a dresser or armoire. Out-of-season clothing, tax records, books, shoes, even kitchen accessories – they can all go under your bed and out of sight. It can make the difference between your apartment or studio looking like it’s being occupied by a hoarder, and a neat, comfortable home. The advantages of hydraulic lift beds in comparison to other models are difficult to understate. People looking at homes and apartments always ask the same question: how much storage space is there? With hydraulic lift beds, you have an opportunity to turn dead, unused space into double-digit cubic feet of storage space. Even better, you’ll have easy access to your belongings but nobody else will know that your things, especially the valuable ones, are stored under the bed. Hydraulic lift beds aren’t for everyone, but they’re a much better option than most people realize. Where Can I Purchase These Beds? This entry was posted on Sunday, August 9th, 2015 at 1:46 pm	and is filed under Hydraulic Lift Beds. You can follow any responses to this entry through the RSS 2.0 feed. Both comments and pings are currently closed.